IDRS™ provides enhanced LEO monitoring, control and tasking through virtually continuous communications access. 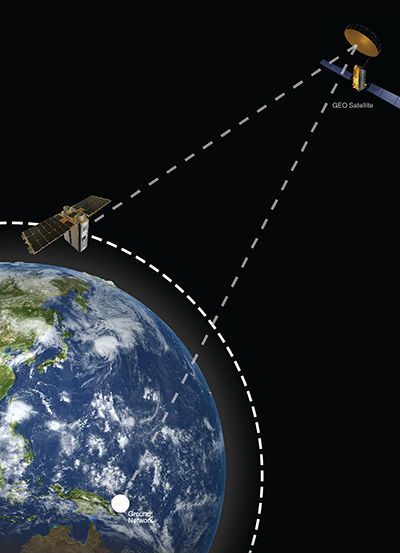 With IDRS™ , satellite operators are not reliant on costly ground station services for communicating with their satellites. IDRS™ communications link provides satellite operators secure access to their satellites from anywhere. The Board of Directors of Addvalue Technologies Ltd. (the “Company”, with its subsidiaries, the “Group”) has announced that, pursuant to the past efforts of the Group in cultivating its IDRS Business (being all business and commercial activities of the Group involving the Inter-Satellite Data Relay System (“IDRS”) and the IDRS terminal (the “IDRS Terminal”) pioneered and developed by the Group), the Group has entered into an agreement with a U.S.-based aerospace company to carry out a feasibility study for the adoption of IDRS in the latter’s upcoming space mission for commercial purposes (the “Feasibility Study”). The success of the Feasibility Study will represent a new use of IDRS beyond the LEO satellite application. Apart from marking the beginning of the path of the Group towards the commercialization of its IDRS Business, the Group believes that, barring unforeseen circumstance, the contracted Feasibility Study also signifies the first step in heralding new applications that will contribute meaningfully to the IDRS Business which is expected to have material financial effects on the performance of the Group in 2019 and beyond. Meanwhile, the Group continues to pursue new prospects and other new applications for its IDRS Terminal and thereby expand the scope of business opportunities for its IDRS Business.